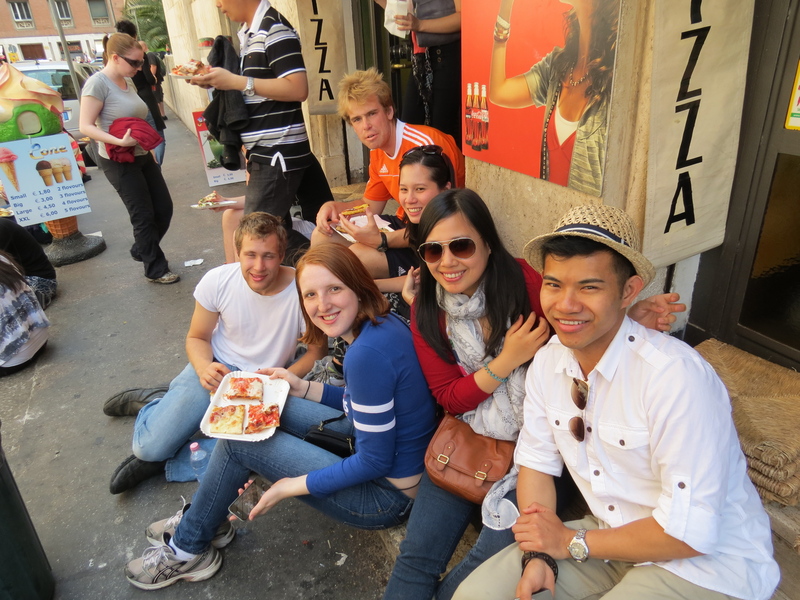 After touring the Vatican, Sam, our tour manager, led us a few blocks down and we ended up in this pizza place that sold cheap, but good pizza. 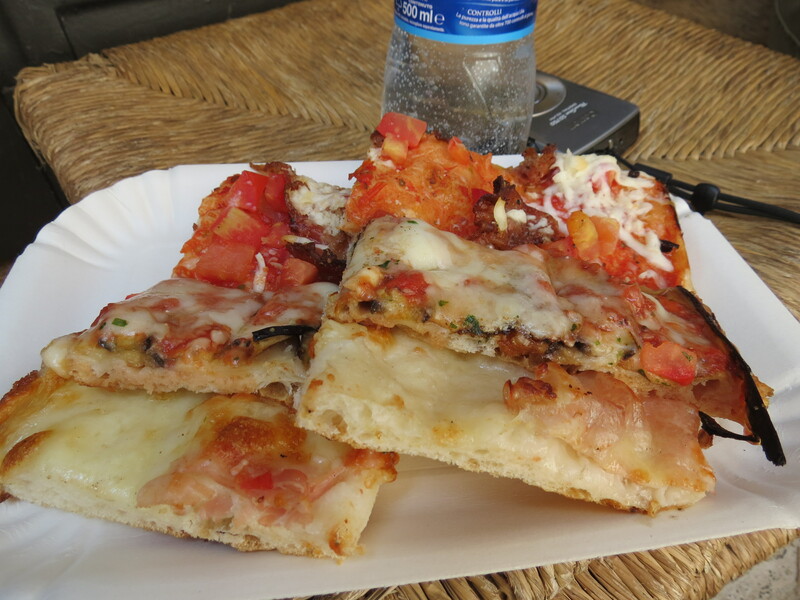 It felt so nice sitting on the sidewalk, enjoying good Italian food. 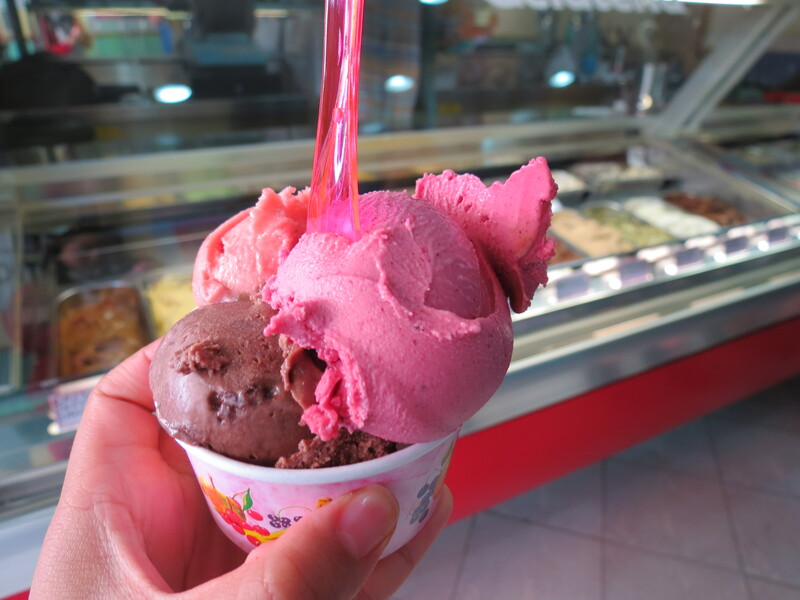 Next to the pizza place was a gelato parlor that we obviously could not resist. From there, we decided to go in groups depending on where we wanted to go. 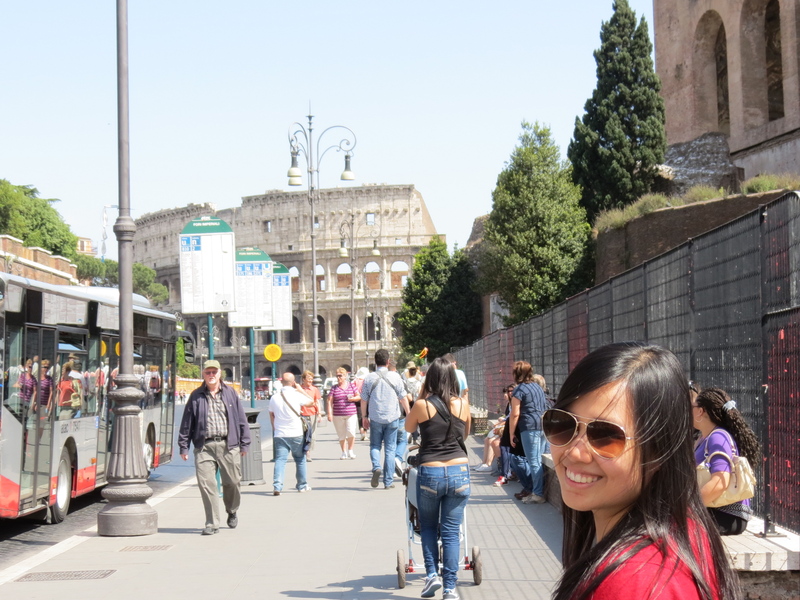 The “Asian group,” which consisted of me, Fran, David, Callista, Robert and Evan, took the metro to the Roman Forum. 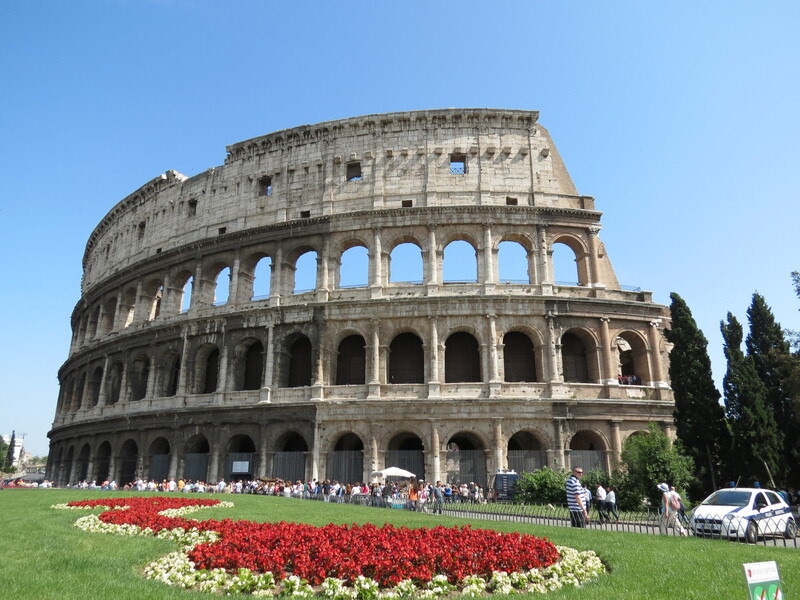 Tip: You can buy 2-in-1 tickets for the Colosseum and the Forum at the entrance of the Roman Forum, near the La Bocca della Verità, also known as The Mouth of Truth. 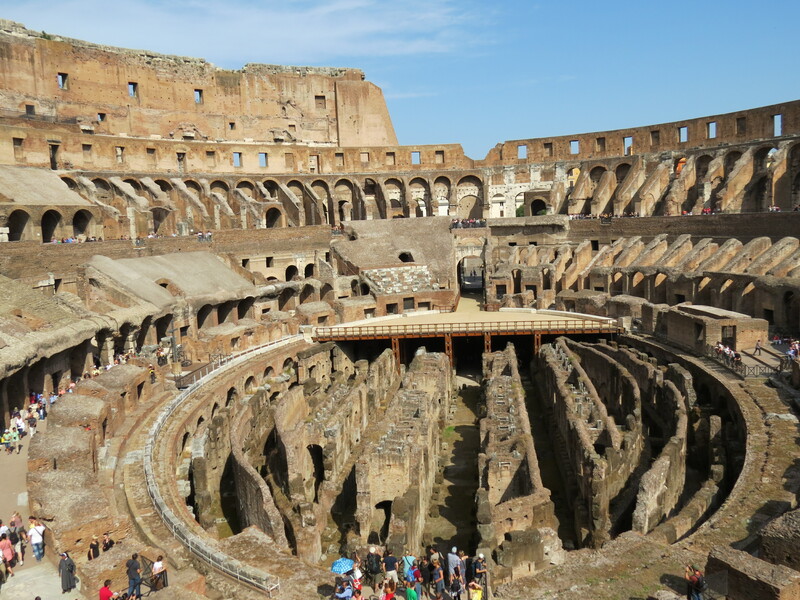 That way, when you get to the Colosseum, you no longer need to line up for hours and hours to get tickets. Ever since I saw the Forum on Discovery Channel when I was a child, I knew it was an attraction that I had to visit. 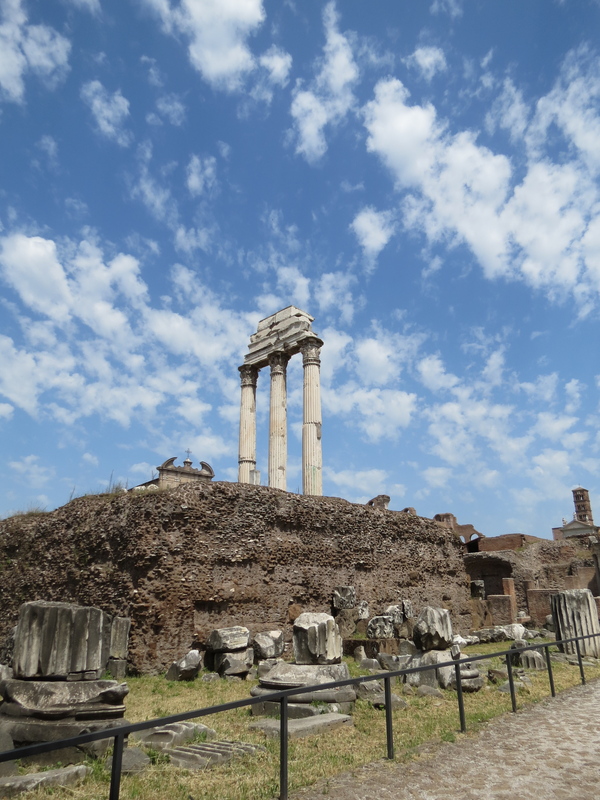 It amazed me how it was the center of everything – religion, politics and business – thousands of years ago. 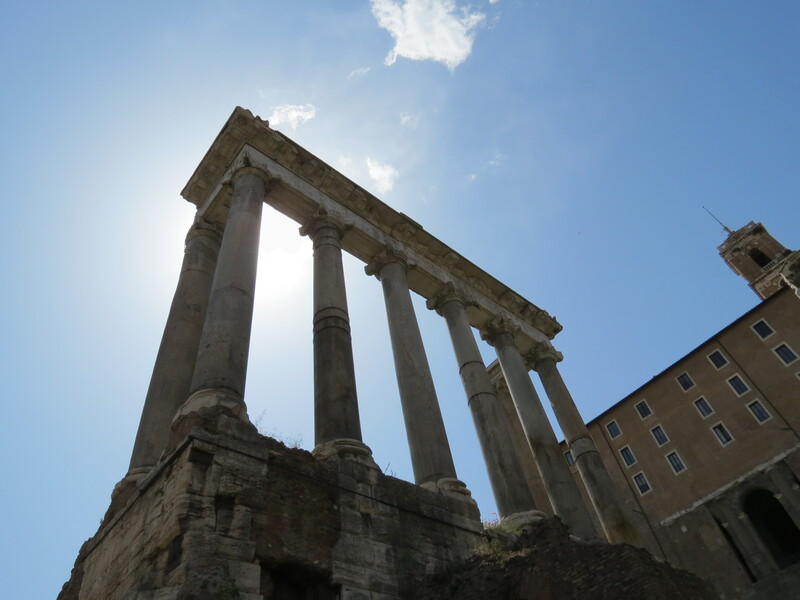 The Forum is actually 25 feet below Rome’s present ground level because as time passed, the city continued to rise while the Roman Forum stayed at its original foundation. 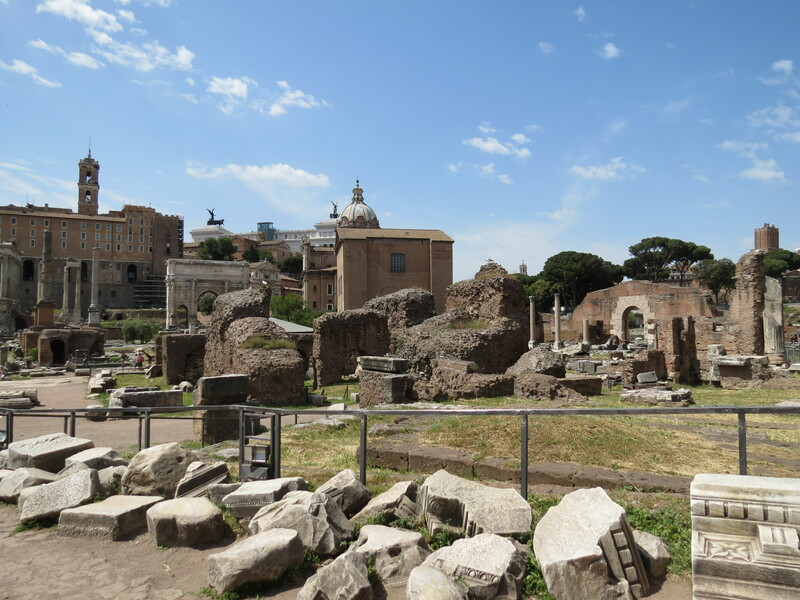 Though most of my tour-mates found the Forum not to be as interesting as the Colosseum, I actually enjoyed it more; probably because it was the attraction that I had always dreamt of visiting. 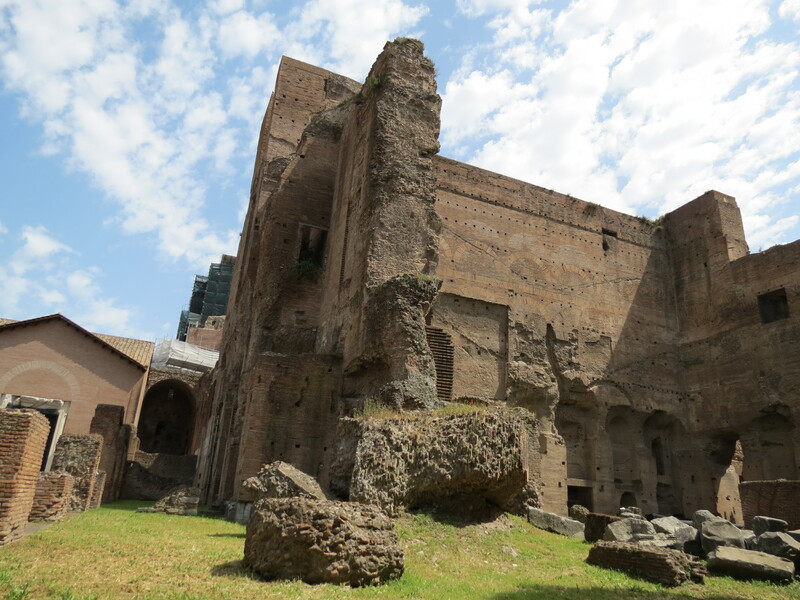 Evan and I spent more than an hour walking around, while the rest went ahead to the Colosseum. We took time sitting down at a spot overlooking the beauty of what used to be the center of the city. 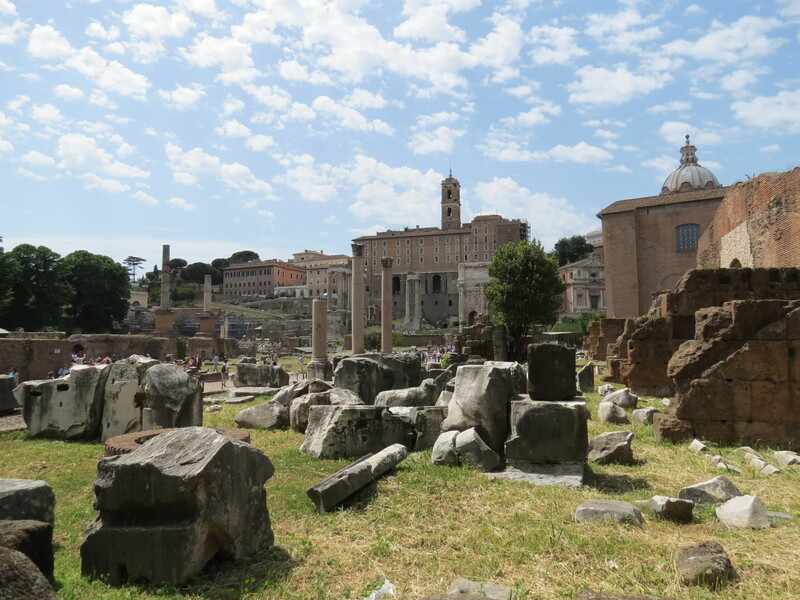 It was difficult to imagine the grand, ancient buildings that surrounded the Forum because now, all you can see are ruins and remnants of what used to be. 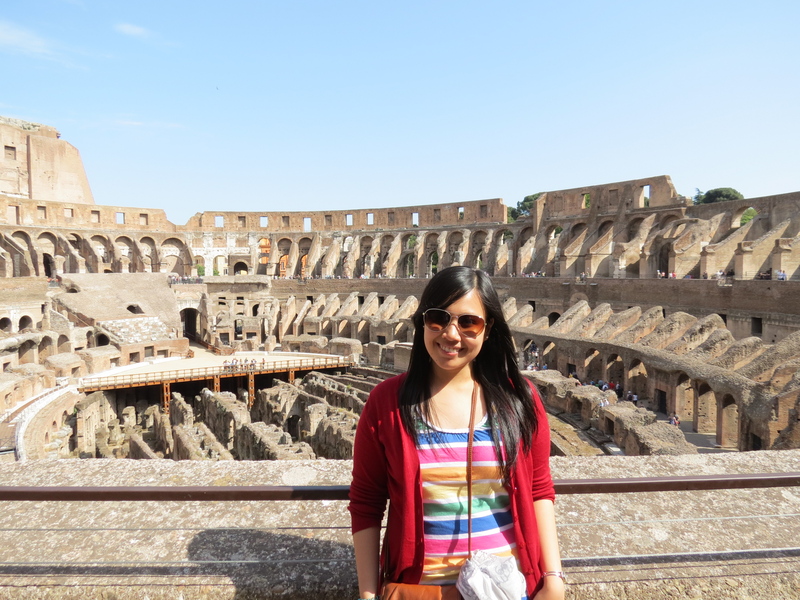 The Colosseum is the most iconic landmark in Rome, just as the Eiffel Tower is to Paris. Having seen it only from the outside the day before, we knew we couldn’t miss the chance to see it from the inside this time. Being the free spirits that we are, we decided not to get an audio guide. Actually, we didn’t even bother asking if they offered audio guides, and assumed that we didn’t need it. We tried to listen in on the groups of tourists that were there with tour guides, but ended up just walking around, admiring the beauty of ancient battle grounds. Not knowing where to go after the Forum, we took the metro and got off at a random stop, climbed up the stairs and found ourselves in the middle of an elliptical road with a fountain at the center. 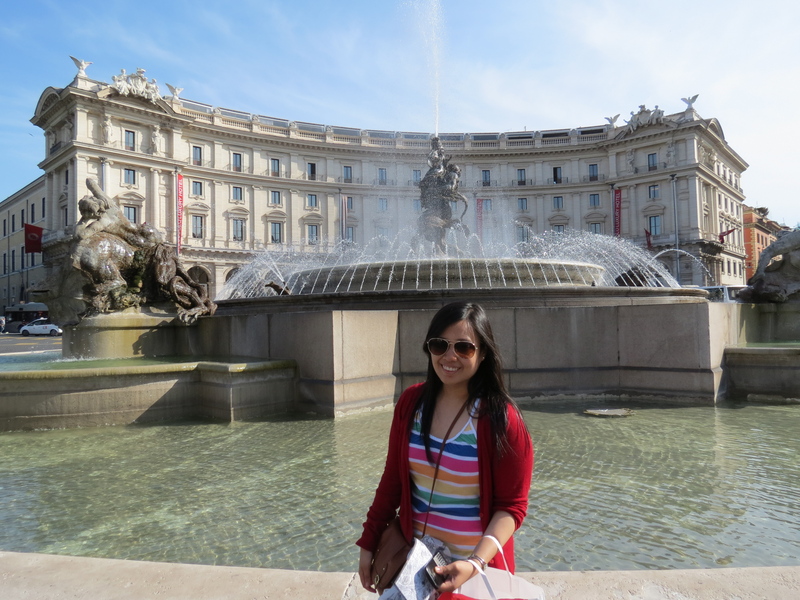 We sat by the fountain, lounging around as we took in the feeling of being in a city as grand as Rome. 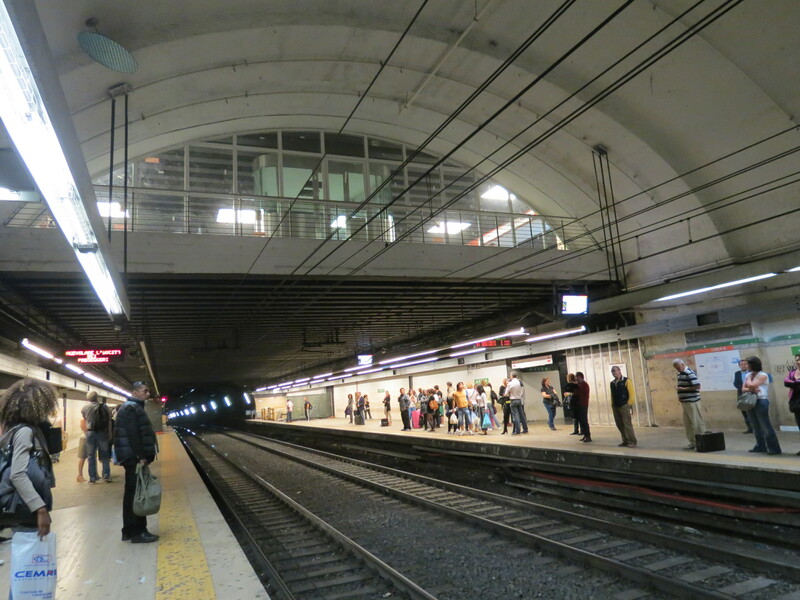 After making the most out of our day in Rome, we decided to head back and we bumped into the others at the train station! Everyone had no idea what train to get on, or what to stop to get off at, since we only had maps of the city and tickets at hand, and where we stayed was a bit on the outskirts. Thankfully, I overheard someone talking on the phone in Filipino! Ah, I love how you can find fellow Filipinos anywhere and everywhere. I asked her for help and turns out, we were taking the same train, but the group and I just had to get several stops earlier than her. 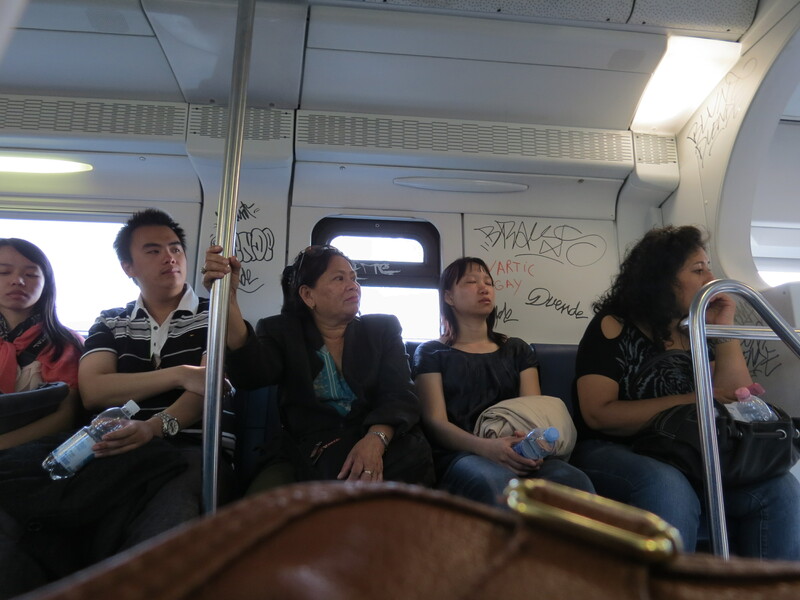 Upon riding the train, the Filipino lady sat right across me and we got ourselves talking and I found out where in the Philippines she was from and that she and her husband live in the mountains, about an hour train-ride from the city. 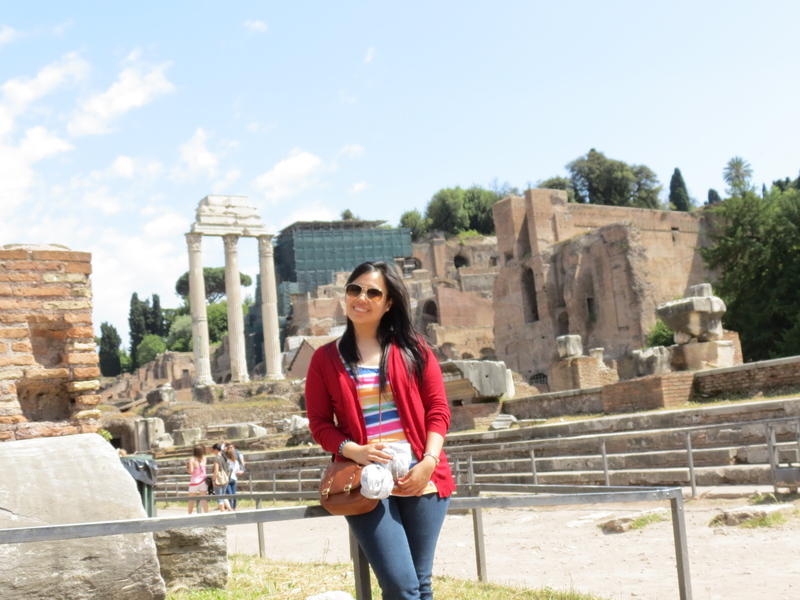 She works for a prominent family in the city as a sitter and at that time, she was hoping to petition her children to move to Rome as well. I wish that everything worked out for them, but sadly, I’ll never know. 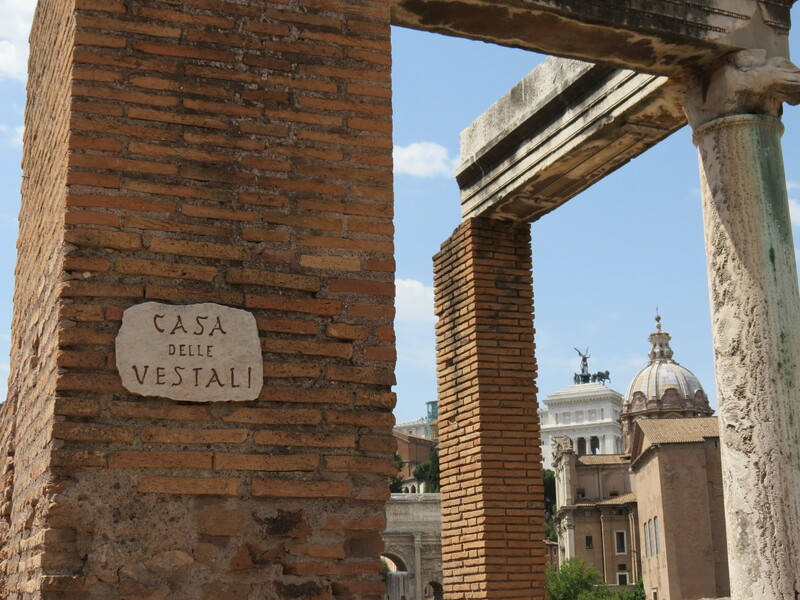 Rounding it all up, Rome is beautiful in its own unique, ancient way; the city that has continued to live on in the hearts of those who’ve visited and the city that has withstood the tests of time – definitely a city like no other. 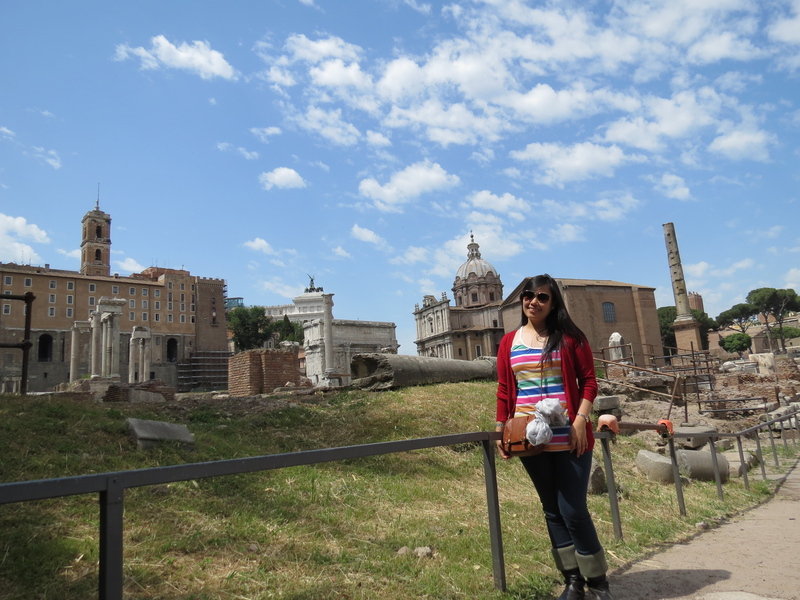 Now I know why Rome is so called, The Eternal City. I promise, I’ll be back.